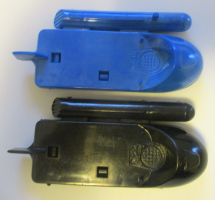 Most accessories here are either sight aids (e.g., binoculars and flashlights), communication gear (e.g., walkie-talkies and cameras), or forms of transportation (e.g., skis and rafts). 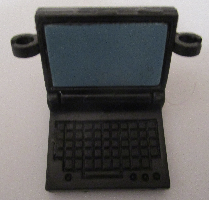 Other technological gadgets such as computers, robots, and power tools are here as well. This is also a catch-all category for a few low-tech accessories that do not fit on other pages. 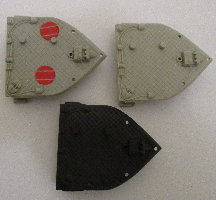 Any accessories with a backpack peg (such as Stalker's kayak) are listed on the Backpacks page. in black with Tripwire, the original version on the 1983 single card as well as in J.C. Penney three-packs. in black with Tripwire, in the 2001 Real American Hero Collection two-pack with Big Brawler. in yellow (with smaller foot pegs) with Scarlett, the yellow comic version in the 2005 Marvel #9 three-pack. in black with Snow Job, the original version on the 1983 single card as well as in J.C. Penney three-packs. in black with Snow Job, in the 1997 Arctic Mission Team three-pack. in black with Whiteout, in the 2000 Real American Hero Collection two-pack with Big Ben. in yellow with Scarlett, the yellow comic version in the 2005 Marvel #9 three-pack. in dark grey with Doc, the original version on the 1983 single card as well as reissues by mail. in black with Duke, the original version offered by mail in 1983 as well as his reissue on 1984 single card. in black with Duke, the Tiger Force version on the 1988 single card. 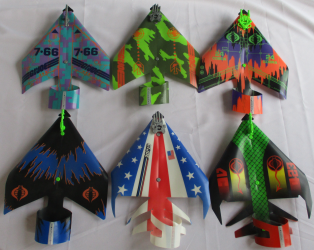 in light green with Duke, the Tiger Force version on the 2008 Wave 10 single card. in light green with Firefly, the original version on the 1984 single card. in light green with Firefly, the dark grey 25th-style version on the 2009 Hall of Heroes single card. 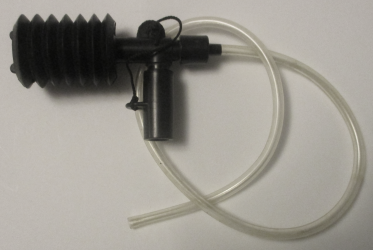 in black with Firefly, the white version in the 1998 Cobra Polar Force three-pack. 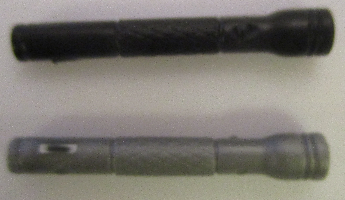 in black (with clear tube) with Deep Six, the original version with the SHARC released in 1984.
in black (with black tube) with Deep Six, the grey 25th-style version with the Sharc Tooth released in 2008.
in black (with black tube) with Deep Six, the silver 25th-style version in the 2008 Marvel #25 comic two-pack with Rock 'n Roll. in bright green with Lady Jaye, the original version on the 1985 single card. 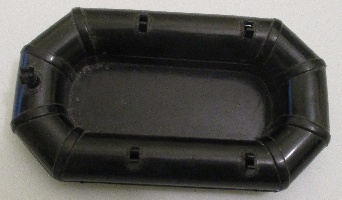 in black with Volga, in the 1998 Oktober Guard three-pack. in black with Dr. Mindbender, the original version on the 1986 single card. in silver with Dr. Mindbender, the original version on the 1986 single card. in black with Mainframe, the original version on the 1986 single card. 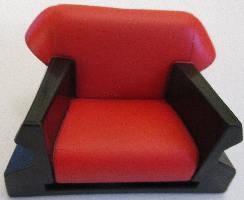 in black with Mainframe, the red version in the 1986 Special Mission: Brazil five-pack. in black with Dataframe, the 25th-style version in the 2008 Comic #11 two-pack with Beachhead. in black with Tele-Viper, the grey 25th-style version in the 2008 Arctic Assault Squad seven-pack. 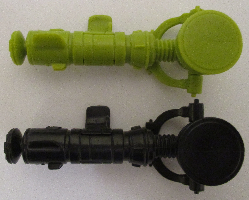 in grey with Wet-Suit, the black Joe vs. Cobra version in the 2002 Wave 1 two-pack with Cobra Moray. 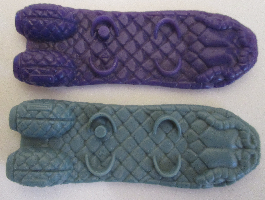 in grey with Wet-Suit, the teal Joe vs. Cobra version in the 2002 Wave 1.35 two-pack with Cobra Moray. 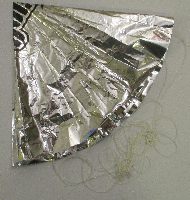 in silver and red with Psyche-Out, the original version on the 1987 single card. 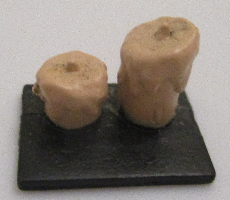 in olive (two copies) with Tunnel Rat, the original version on the 1987 single card. 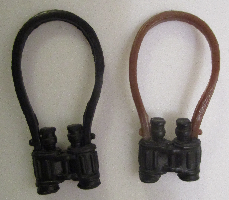 in black (two copies) with Tunnel Rat, the Night Force version in the 1988 two-pack with Psyche-Out. in olive with Outback, the original version on the 1987 single card. 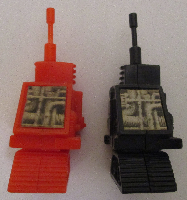 in black and red with Outback, the Night Force version in the 1988 two-pack with Crazylegs. 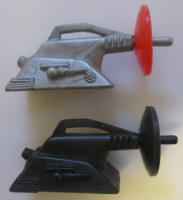 in silver with Techno-Viper, the original version on the 1987 single card. 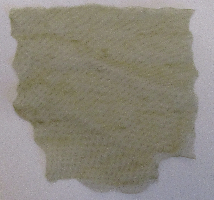 in light green with Sneak Peek, the original version on the 1987 single card. in green with Lightfoot, the original version on the 1988 single card. 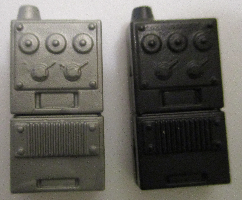 in black with Lightfoot, the Night Force version in the 1989 two-pack with Shockwave. 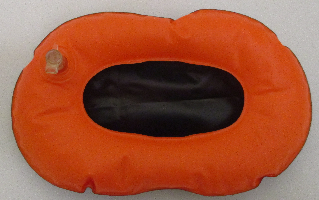 in orange and grey with Lightfoot, the original version on the 1988 single card. 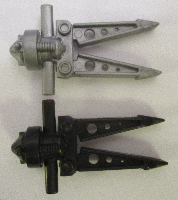 in black and grey with Lightfoot, the Night Force version in the 1989 two-pack with Shockwave. 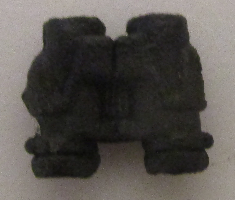 in black with Backblast, the original version on the 1989 single card. in grey with Deep Six, the light blue version on the 1989 single card. 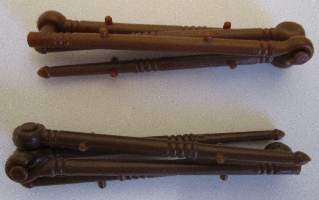 in dark brown with Ambush, the original version on the 1990 single card. in light brown with Side Track, the Ambush recolor in the 2000 Real American Hero Collection two-pack with Duke. in dark grey with Undertow, the original version on the 1990 single card. in grey with Undertow, the black version the 2009 G.I. Joe Collector's Club annual exclusive figure. 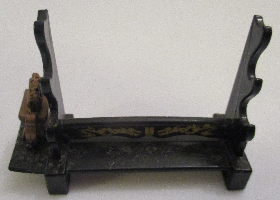 in black with Stretcher, on the 1990 single card. 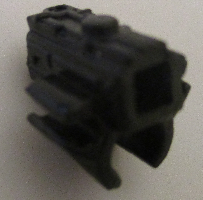 in black with Sideswipe, in the 2002 Real American Hero Collection two-pack with Sgt. Lifeline. in black with Sparks, in the 2007 Tanks for the Memories convention set. 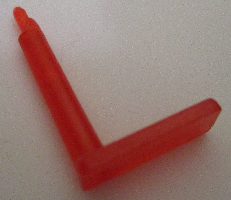 in light grey and red with Stretcher, on the 1990 single card. 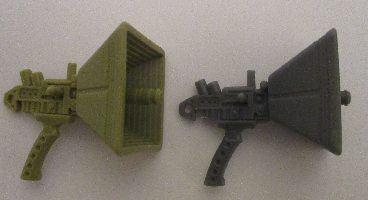 in brown-grey with Bullhorn, the original version on the 1990 single card. 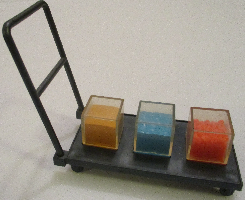 in clear red with Heavy Duty, the original version on the 1991 Wave 1 single card. 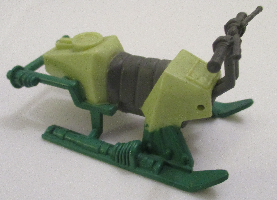 in blue-grey with Snow Serpent, the white-board version in the 1998 Cobra Polar Force three-pack. in green and black with Skymate, on the 1991 Air Commandos single card. in blue and purple with Cloudburst, on the 1991 Air Commandos single card. in red and purple and black with Sky Creeper, on the 1991 Air Commandos single card. in black and dark blue with Night Vulture, on the 1991 Air Commandos single card. in red and white and blue with Spirit, on the 1992 Air Commandos single card. in black and green with Air Devil, on the 1992 Air Commandos single card. in orange (two copies) with Tracker, on the 1991 Wave 2 single card. in orange and black with Tracker, on the 1991 Wave 2 single card. in yellow and green with Clean-Sweep, on the 1991 Eco-Warriors card. 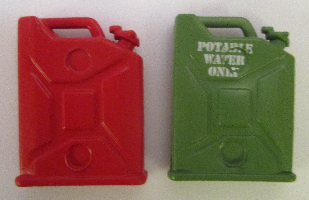 in light green with Ozone, the blue version on the 1991 Eco-Warriors card. in blue (two copies) with Psyche-Out, the Super Sonic Fighters version on the 1991 single card. in black and yellow-green with Cobra Commander, on the 1994 Star Brigade card. in gold with Tele-Viper, the Python Patrol new-sculpt version in the 2004 Wave 5 two-pack with Cobra Viper. in blue with Tele-Viper, the blue Valor vs. Venom version on the 2005 Wave 3 single card. 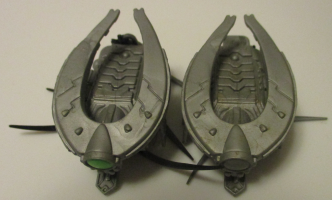 in black with Beachhead, the silver-vest Valor vs. Venom version in the 2004 Wave 2 two-pack with Cobra B.A.T. v4. in black with Dusty, the Valor vs. Venom version in the 2004 Wave 3 two-pack with Zartan. in black with Wild Bill, the jeans Valor vs. Venom version in the 2004 Wave 3 two-pack with Coil Crusher. in black with Agent Jinx, the Valor vs. Venom version in the 2004 Wave 3 two-pack with Cobra Slice. 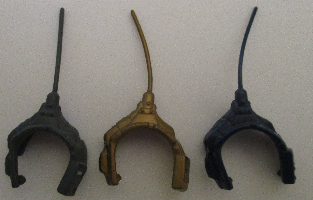 in black with Duke, the O-ring Valor vs. Venom version in the 2004 Wave 4 two-pack with Venomous Maximus, as well as his reissue in the 2004 Wave 5 two-pack with Cobra Commander. in black with Dr. Link Talbot, the red version in the 2004 Wave 4 two-pack with Night Creeper. in black with General Abernathy, the Valor vs. Venom version in the 2004 Wave 4 two-pack with Over Kill. in black with Frostbite, the grey-chest Valor vs. Venom version in the 2005 Wave 6 two-pack with Snow Wolf. 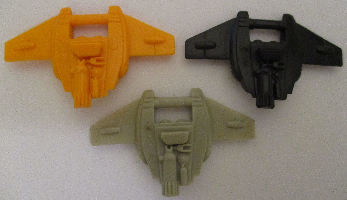 in black with Tunnel Rat, the yellow Valor vs. Venom version in the 2005 Wave 6 two-pack with Razorclaw. 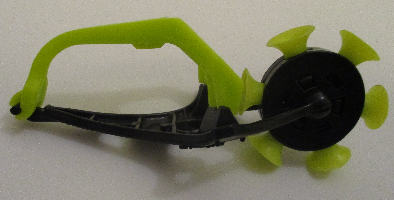 in black with Shipwreck, the green Valor vs. Venom version in the 2005 Wave 6 two-pack with Electric E.E.L. in black with Wild Bill, the khakis Valor vs. Venom version in the 2005 Wave 6 two-pack with Coil Crusher. 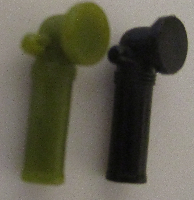 in black with Dr. Link Talbot, the green version in the 2005 Wave 7 two-pack with Cobra Commander. 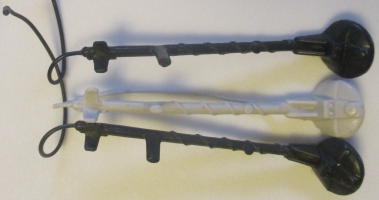 in black with Dr. Mindbender, the labcoat version in the 2004 Wave 1 two-pack with Hi-Tech. 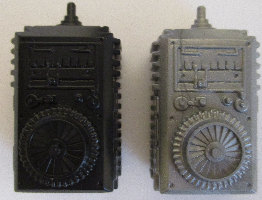 in black (two copies) with Dr. Mindbender, the labcoat version in the 2004 Wave 1 two-pack with Hi-Tech. in silver with Hard Drive, in the 2004 Wave 2 two-pack with Baroness. in dark grey with Med Alert, on the 2006 Direct-to-Consumer Wave 3 single card. 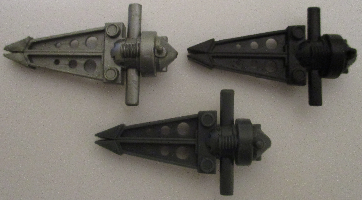 in silver and black with Night Creeper, the grey version in the 2004 Wave 4 two-pack with Dr. Link Talbot. 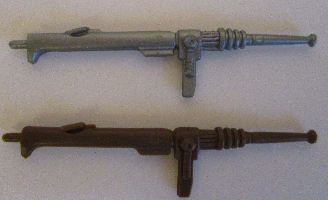 in silver with Over Kill, the rust-colored version in the 2005 Wave 7 two-pack with Duke. 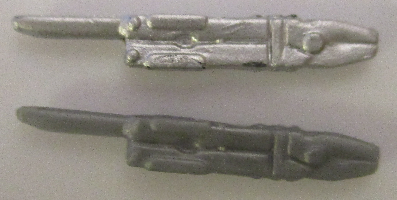 in grey and blue with Over Kill, the grey version in the 2004 Wave 4 two-pack with Gen. Abernathy. in white with Frostbite, the grey-chest Valor vs. Venom version in the 2005 Wave 6 two-pack with Snow Wolf. in black with Chuckles, the sleeveless version in the 2007 Flaming M.O.T.H. two-pack with Shipwreck. in black and red with Cobra Commander, in the 2005 Imperial Procession six-pack. in black with Duke, in the 2007 25th Anniversary G.I. Joe five-pack (but not on the Wave 4 single card). in tan with G.I. Joe Doc, the 25th-style version offered by mail in 2008.
in tan with Firefly, the comic 25th-style version in the 2008 Comic #4 two-pack with Storm Shadow. in tan with Cobra Officer, the tan version in the 2008 Desert Assault Squad seven-pack. in tan with Firefly, the Resolute version on the 2009 Wave 13 single card. in tan with Firefly, the dark grey 25th-style version on the 2009 Hall of Heroes single card. in dark silver with Cobra Officer, the tan version in the 2008 Desert Assault Squad seven-pack. in red with Firefly, the comic 25th-style version in the 2008 Comic #4 two-pack with Storm Shadow. in red with Firefly, the Resolute version on the 2009 Wave 13 single card. in red with Firefly, the dark grey 25th-style version on the 2009 Hall of Heroes single card. in silver with Firefly, the comic 25th-style version in the 2008 Comic #4 two-pack with Storm Shadow. in silver with Firefly, the Resolute version on the 2009 Wave 13 single card. in silver with Firefly, the dark grey 25th-style version on the 2009 Hall of Heroes single card. 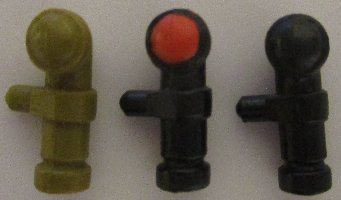 in black and brown with Duke, the olive version in the 2008 Comic #6 two-pack with Red Star. 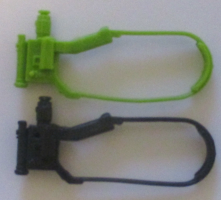 in dark green and light green with Long Arm, the green version in the 2008 S.W.A.T. convention three-pack. in silver with Sky B.A.T., released at the 2008 G.I. Joe convention. 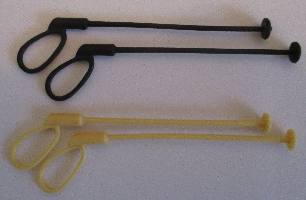 in black with Cobra Trooper, the white straps version in the 2008 The M.A.S.S. Device DVD pack. 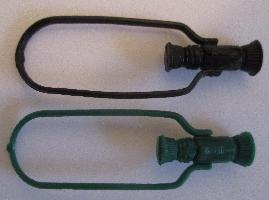 in green and silver with Baroness, the diver version in the 2008 The M.A.S.S. Device DVD pack. in black and silver with Cobra Commander, the suit-and-tie version exclusive to the 2008 San Diego Comic Convention (both black and blue jacket variants). in black and red with Cobra Commander, the suit-and-tie version exclusive to the 2008 San Diego Comic Convention (both black and blue jacket variants). in silver with Lieutenant Falcon, the 25th-style version in the 2008 Comic #8 two-pack with Nemesis Immortal. in black with Tripwire, the 25th-style version in the 2008 Comic #9 two-pack with Cobra Commander, as well as his reissue on the 2008 Wave 12 single card. 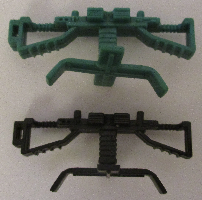 in light green and green with Zartan, the red-pants 25th-style version on the 2008 Wave 11 single card. in tan and black with Snake Eyes, the trainee version in the 2008 Comic #10 two-pack with Hard Master. 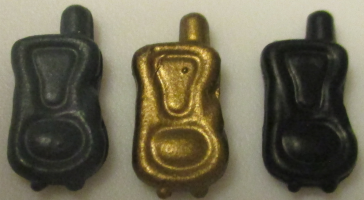 in black and gold with Snake Eyes, the trainee version in the 2008 Comic #10 two-pack with Hard Master. 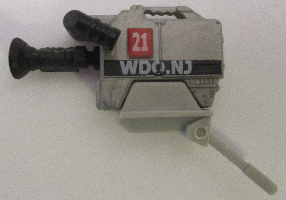 in grey and black with Dataframe, the 25th-style version in the 2008 Comic #11 two-pack with Beachhead. 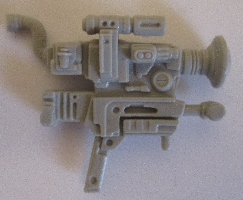 in blue and grey with Tele-Viper, the grey 25th-style version in the 2008 Arctic Assault Squad seven-pack. 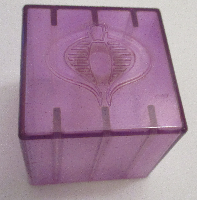 in clear purple with Cobra Commander, the light blue hooded version in the 2008 The Pyramid of Darkness DVD pack. in silver and black with Cobra Paratrooper, in the 2008 G.I. Joe: The Movie DVD pack. 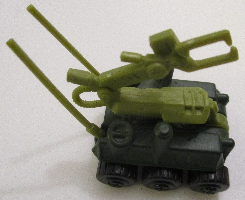 in olive with Outback, the 25th-style version with the FLAK Cannon/Cobra CLAW vehicle set released in 2009.